Is Paris on your dream list with kids? Ready to play like Madeline? 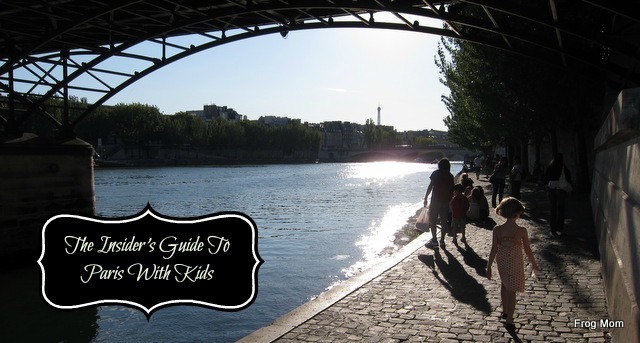 The City of Lights may be one of the most romantic cities to visit in the world with your soul mate, but with kids in tow, it’s a completely different game. Forget walking through the cobbled streets of Montmartre after dark, unless you really can’t get over the jetlag. You’re now looking for a fun place where your kids can run around, get a taste of French culture, and find food they will eat without finding the nearest McDonald’s. The good news is, there’s more to Paris than the Louvre Museum. 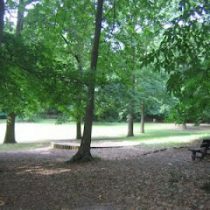 Here’s a short activity guide for families with children. 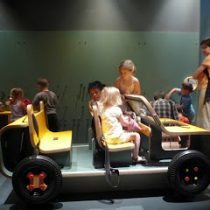 With great public transport, discounts for families and entertainment venues for the youngest ones, Paris is a fun city to visit with children in tow. 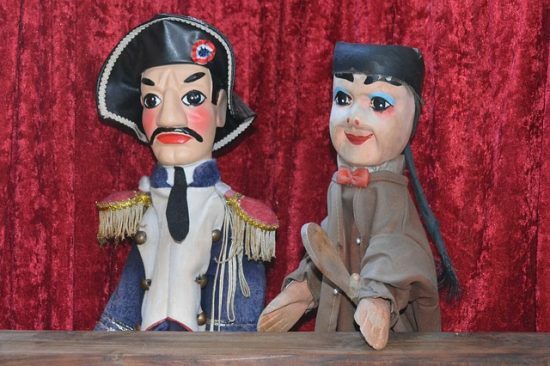 Guignol is the French Punch and Judy. A clever buffoon, Guignol spends his time fighting evil with his wits and a wooden bat. The Wednesday afternoon or Saturday Guignol show is a long-standing tradition for French kids who love rooting for Guignol and yelling at villains. 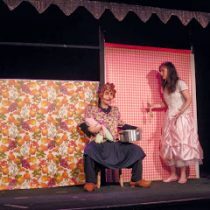 It’s all in French but since it’s all slapstick comedy with period costumes, the kids won’t mind the language barrier. 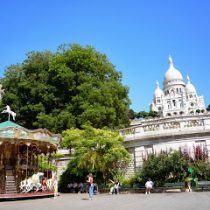 The most renowned Guignol in Paris is at the Champs de Mars close to the Eiffel Tower, the most scenic is at the Jardin du Luxembourg, the most central at the bottom of the Champs Elysées, and the most popular at the Victorian theme park, Jardin d’Acclimatation. Take your pick! Want to know what French kids eat after school? A pain au chocolat, that’s what. 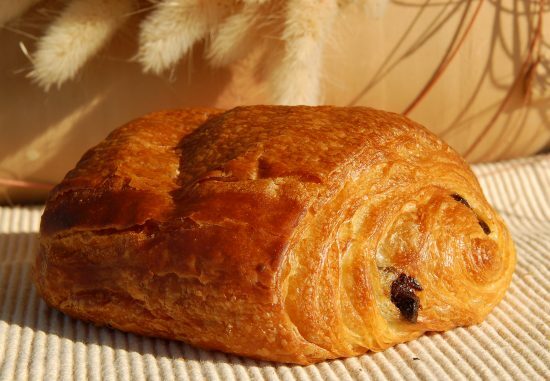 Packing nothing in nutrition but tons in calories and sweet delights, the pain au chocolat is a rectangular croissant with a dark chocolate bar in the middle. Every single patisserie makes a pain au chocolat but not all of them reach the pantheon of the best-of rankings published by serious magazines. For a list of the 10 best addresses in Paris, click here. Don’t worry about the calorie count. 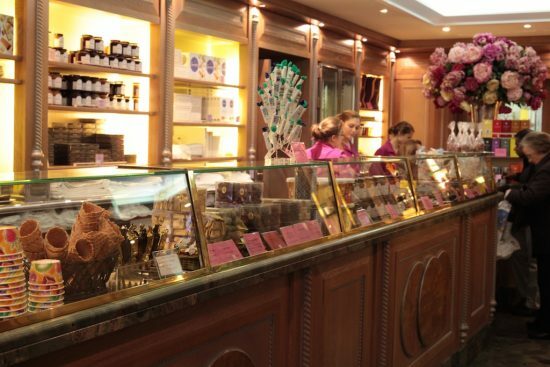 You’ll spend so much time walking in Paris that it’ll be a well-deserved treat by the time you walk in the door. A 17th century botanical garden, the Jardin des Plantes offers wide planted alleys dotted with impeccable plant alignments and benches. It’s also host to the world famous Museum d’Histoire Naturelle (Natural History Museum) whose Great Gallery of Evolution makes an impressive and silent Noah’s Ark with lifesize animals. 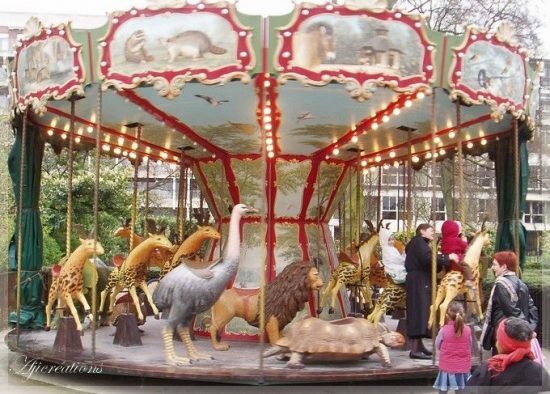 Keeping in line with the natural history angle, the Dodo Manège is a unique carousel where kids can ride an extinct species. Find it next to the Iris Garden. If it starts to rain, take shelter in the Victorian-era tropical greenhouses. 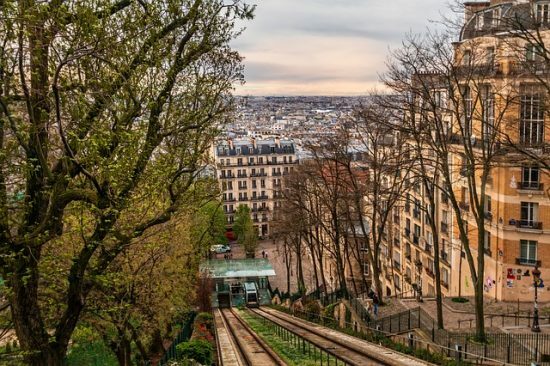 With the best views on Paris, Montmartre is a hill in the northern quadrant of Paris that used to be a separate village dotted with windmills. Associated with famous artists, poets and writers, Montmartre indeed has a different feel to it. 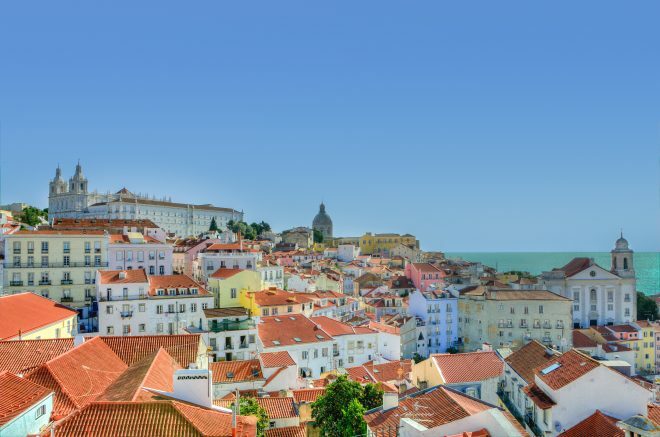 While most windmills have disappeared, the hill remains a tourist hot spot thanks to its quaint cobbled streets, old-fashioned crêperies and the Sacré Coeur basilica. The best way to reach the top of the hill is a quick ride on a cable car that starts at the Place Saint Pierre. 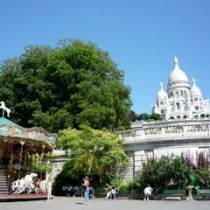 If the train theme rocks your boat, you can also board a small tourist train at the Place du Tertre or at Métro Blanche that takes you around Montmartre with a French-English bilingual audio tour. Otherwise, just explore and enjoy. It’s always easier going down. The Stravinsky Fountain is one of the most fun places to be when the sun shines on Paris. 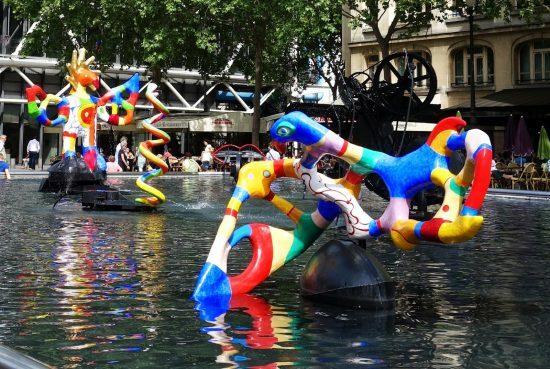 Featuring water-spouting and moving parts, the fountain a kinetic sculpture by Swiss artist Jean Tinguely and French artist Nikki de Saint-Phalle. Kids love running around the fountain or just sitting there, admiring the water works. As a bonus, the fountain sits in front of one of the most family-friendly modern art museums in Paris, the Centre Pompidou and the area is a gourmet and shopper’s heaven. Until the tragic April 15, 2019 fire, Notre Dame de Paris was the most stunning gothic cathedral in the world and the iconic building where the hunchback of Notre Dame took shelter in the Victor Hugo’s novel. Despite the fire damage and reconstruction, Notre Dame de Paris is still a must-do on your visit list but you’ll have to use your imagination. Before the fire, you would have climbed all 387 steps to the top of the South Tower where you would have found the most ghoulish gargoyles in the city. Gargoule stare contest excluded, the roof was an amazing place to watch the island where the cathedral was built (Ile de la Cité) and the bridges over the River Seine. 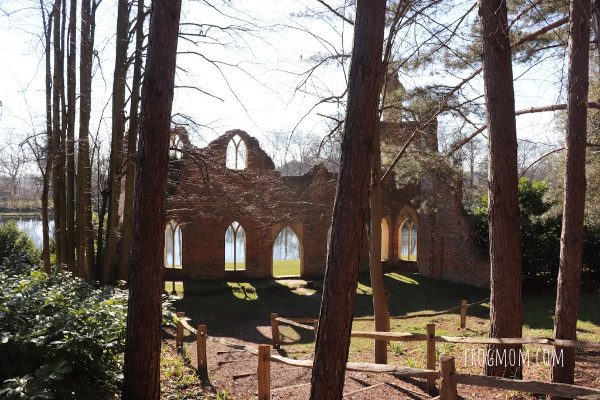 The cathedral may have burned but it will get rebuilt. It took over a century to build in the 12th and 13th century and was renovated and altered several times over the past 800 years. 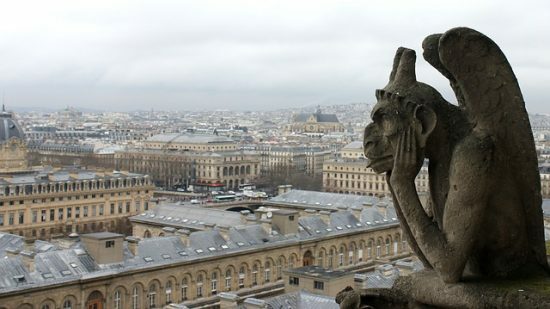 I have come to peace with the fact that I probably won’t see Notre Dame de Paris in its restored glory in my lifetime. That’s OK. 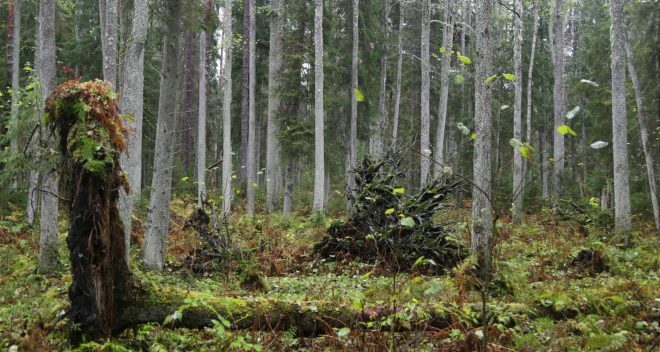 It seems fitting that there would be no shortcuts to rebuilding a world heritage site that most thought immortal. Notre Dame de Paris will rise from its ashes, as it has before. We just need to accept the passage of time. Now. The public pedestrian area in front of Notre Dame de Paris is still a wonderful place to hang out, if only to find Paris Point Zero, the geographical marker from which the distance from Paris to all other places are measured. What kind of ice cream shop draws crowds even in the dead of winter? Honestly, you’ve seen nothing of French gastronomy until you’ve tasted one of the Berthillon ice creams or sherbets. They’re frozen heaven on a cone and it’s hard to tell which is your favorite – they all taste great! Quintessentially old school, Berthillon operates a salon de thé where you can sit down for a drink and a scoop on the picturesque Ile Saint Louis. Since Berthillon has a nasty habit of closing down during school vacations, you’ll be relieved to know most of the neighboring cafés sell Berthillon ice creams too. 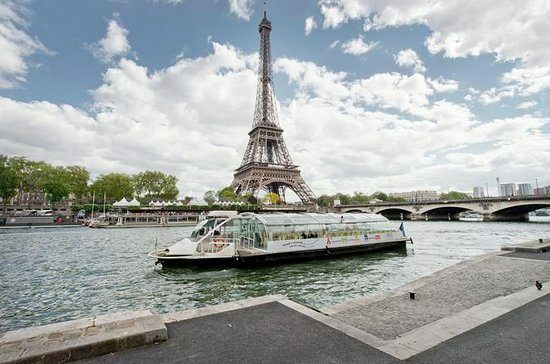 A fun way to connect touristic landmarks along the River Seine is to hop on a one of the Batobus and cruise up and down the River Seine. With eight stops between the Jardin des Plantes and the Eiffel Tower, the Batobus is a fraction of the price of the Bateaux Mouches and a great way to see the city from an aquatic angle. Check multi-day passes for best value. 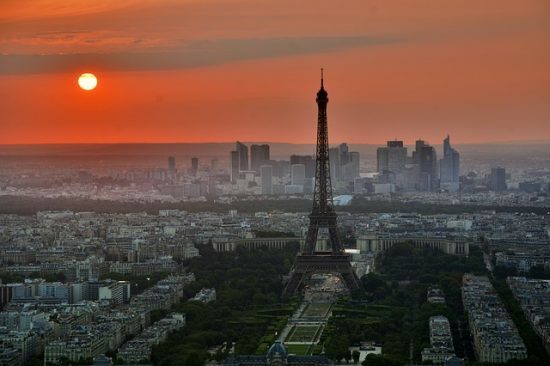 The best time of the day to see the Eiffel Tower is after dark when the majestic iron lace construction is illuminated every hour, on the hour after dark, with 20,000 sparkling lights. The show is wonderful and you will catch the best views from the terraces at the Trocadéro across the river. If you wish to climb the famous tower to the top, two options. First, you can get in line with the crowds and board an elevator to the first, the second, and the third levels. Prepare to be squeezed. Alternatively, you can buy a ticket for the stairs and walk up to the first level, then continue with elevators. While walking up sounds daunting, it’s actually quite fun, you can rest on wide platforms and the views are hard to beat. On a personal note, walk over to the Pont Bir Hakeim and look for a metal plaque ‘Daydé & Pillé’. Designed by Louis Biette, and built by Daydé & Pillé, the bridge was the result of a 1902 competition by the Metropolitan railway and Seine Navigation departments. My mother’s grand-father was Henri Daydé, founder of iron and steel engineering firm Daydé & Pillé so technically, this bridge (and a few more landmarks) is family history for me. Knights in shining armor and fortified palaces? The city you visit today is the result of so many urban changes that finding its medieval layer requires a solid dose of imagination. However, the medieval city is still alive if you know where to find it. 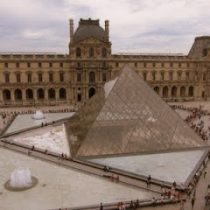 Start at the Louvre Museum, where (on your way to the Mona Lisa) you can walk around the moat and the walls of the 12th fortress that the Louvre used to be. When your Louvre appetite is sated, take a metro or walk to Hôtel de Ville and find the 51 rue de Montmorency, house of Nicolas Flamel. 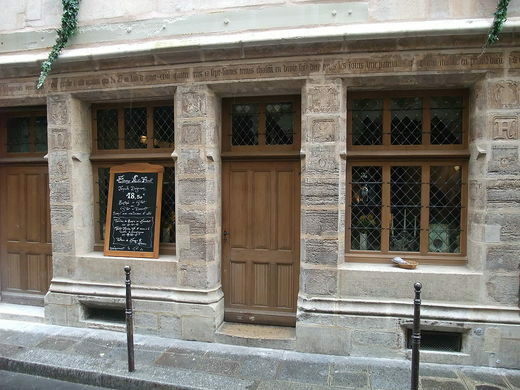 Not only is this the oldest house in Paris (1407), but Nicolas Flamel was an alchemist made famous in the Harry Potter books. 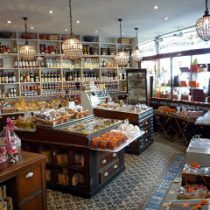 Explore the Marais neighborhood at will, then cross the river and walk up the Boulevard Saint Michel to the Musée de Cluny. The Middle Ages museum hosts proper armors worth their steel, rich tapestries and a medieval garden. While the Catacombs would freak out some children (and delight Gothic teens), the Paris Sewer Museum is a hoot for all ages and free for kids under six. 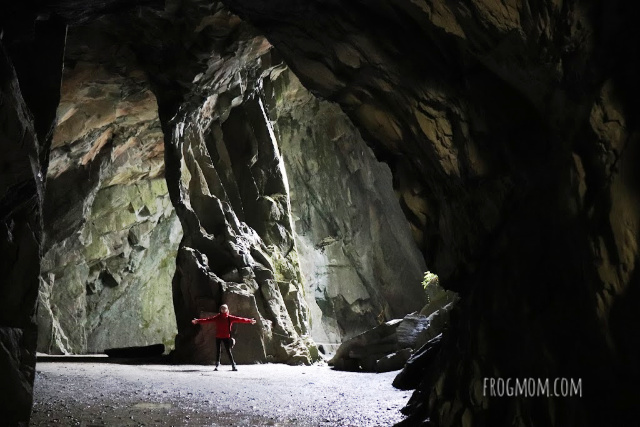 Following a French-English bilingual itinerary, you will be able to learn the nitty gritty about where rain waters go, why you need boats to navigate some tunnels and where drinking water comes from in the city. 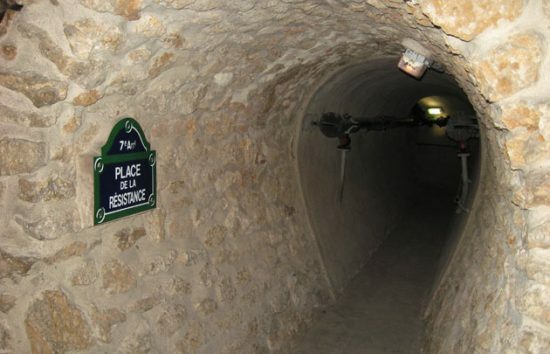 Boasting some 2,400km or 1,491 miles of buried pipes, the sewer network is a major hidden secret in Paris. Though not quite as glamorous as the fabled lake where the Phantom of the Opera dwells, it’s a close-enough encounter with the underground waters of the city. 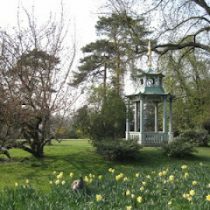 If you prefer a guided tour, English language tours are offered in the summer. Have fun and don’t forget to tell us your favorite spots!